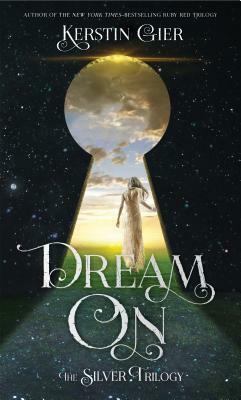 recommended for: Fans of the movie Brave or Frozen, light and quick reads, and adventure stories. In a thrilling fantasy that’s equal parts Prison Break and Frozen, Valor attempts the impossible—breaking her sister out of prison. This fresh and exciting middle-grade debut effortlessly melds an unforgettable protagonist, a breathless plot, and stunning world-building—and is impossible to put down. I was hoping for a cute middle grade along the lines of a Russian-esque Brave. I loved the concept here: girl gets sent to kiddie prison to free her framed sister. There were just some pieces missing for me. It wasn't bad, by any means, but I found myself growing bored. Not just because it was MG, because I've enjoyed many MG fantasies. No, it was more that the plot dragged on in places, felt contrived or ridiculous in others. By the end, I was racing through it and the final twist wasn't either shocking or satisfying, because I'd just lost interest. It's cute, but insubstantial. The worldbuilding has a few strong positives. First, it's matriarchal, which is pretty cool. The queen rules, the princess is the heir, and the council is made up of both men and women. That's about where the diversity stops, unfortunately. As far as I could tell, all of the cast members were white. Which was boring but also seemed unrealistic, especially in a capital city, especially in a prison where you'd expect some form of xenophobia to diversify the population of people sent there. Even in a setting influenced by Russian--or at least by Russian words. The similarities seemed to stop there. The characters themselves were a little thin. Solid, but not spectacular. The main character, Valor, is a bit obnoxious, but made more endearing by her intense love for her sister, Sasha. I think her obnoxiousness wouldn't have bothered me if most of the adults weren't so unbelievably stupid. I guess you could write them off as underestimating their child charges, but they just seemed dense. Like giving a loaded crossbow to a prisoner because apparently none of the guards can shoot well enough to kill some wolves? I liked the side characters more than Valor, which is often my problem. I just wanted to know more about them. Especially why Valor trusted them right off the bat. The thief kid, I could understand. She knew he was just a thief. But she also formed really close alliances with other prisoners and shared her secrets, but never once wondered what they were in for! This is supposed to be the maximum security version of juvie. Even though Valor only faked being an assassin, you'd think at least one or two of the children in there was actually guilty of something. That Valor would be unsure of trusting them. It would have been a nice extra layer, for her to see through their criminal veneer, or at least it would have been more realistic that some of them were actually dangerous. The usual scuffles and hierarchy you'd expect in a prison were absent. The plot was straightforward enough, perhaps too much so. Valor was ever so resourceful, there were unexpected traitors and alliances, and the final reveal was interesting enough. I just really wanted a bit more twistiness. Or at least deeper characterization. This book worked on a surface level for me, and will be quickly forgotten. I can see many children enjoying the fast-paced plot and spunky characters, but I think it's eclipsed by more intricate MG fantasies like The Magisterium. 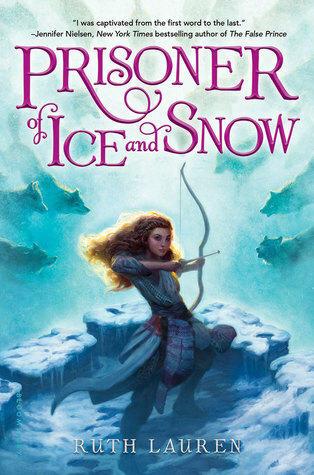 Prisoner of Ice and Snow is a fast-paced fantasy with a clever premise but, ultimately, a surface-level execution that leaves something to be desired.